Small drops shower down, soaking our hoods as we squint through the early morning fog. Mist floats over the still water, compromising the immaculate view that is meant to be laid out before us. It is raining in Milford Sound, the first decent rain the Fiordland area has seen in weeks. This means the breathtaking mountainous cliffs of the fiord are hidden, and I cannot help but be a little disappointed. But as any New Zealander will tell you, the rain is a good thing, and I pray that they are right. Our group stands on the dock outside the welcome center waiting for one of the dockhands to let us on the boat for our two-and-a-half hour cruise of Milford Sound. Once on board, we grab some complimentary coffee and tea and settle into our seats, just as the guide’s voice comes over the speaker system. He apologizes for the rain but explains that it is much needed, as the area has been experiencing a rough drought. And while clear views of the mountains that plunge straight into the water will not be visible, we are in for a real treat, nonetheless. Located in Fiordland National Park, Milford Sound, technically a fiord, was carved out by glaciers thousands of years ago and remained hidden from explorers for centuries. 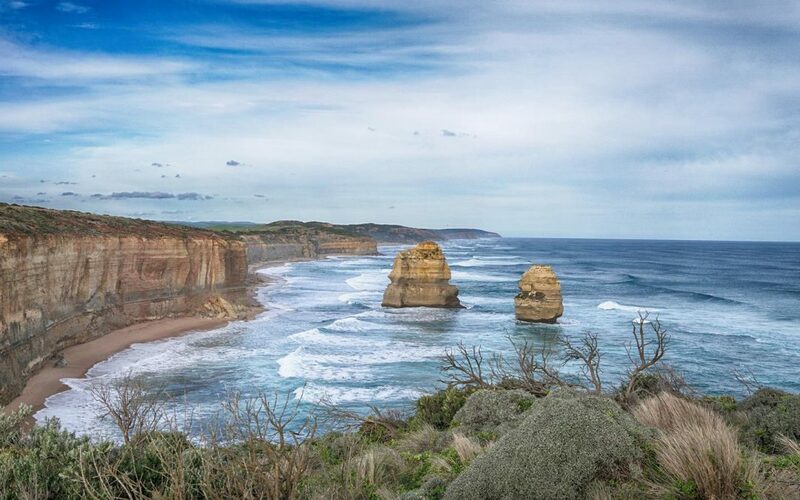 However, once this natural beauty was discovered, it was tough to keep people away, and it is certainly a must-see spectacle when visiting New Zealand’s South Island. 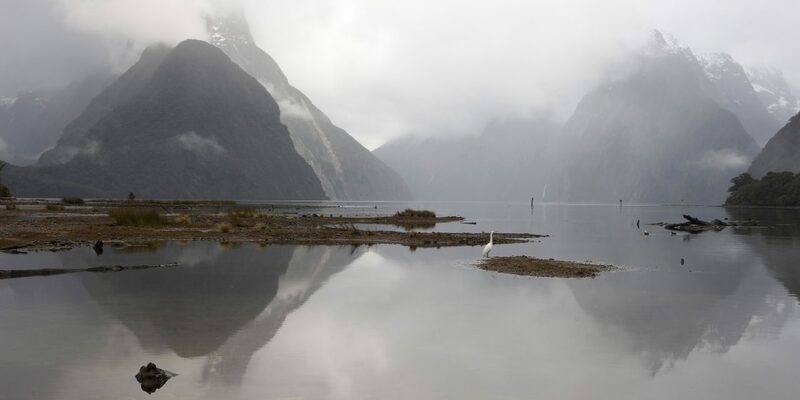 The 14-mile-long sound features Mitre Peak, towering over a mile above the water and considered the fiord’s prize jewel. 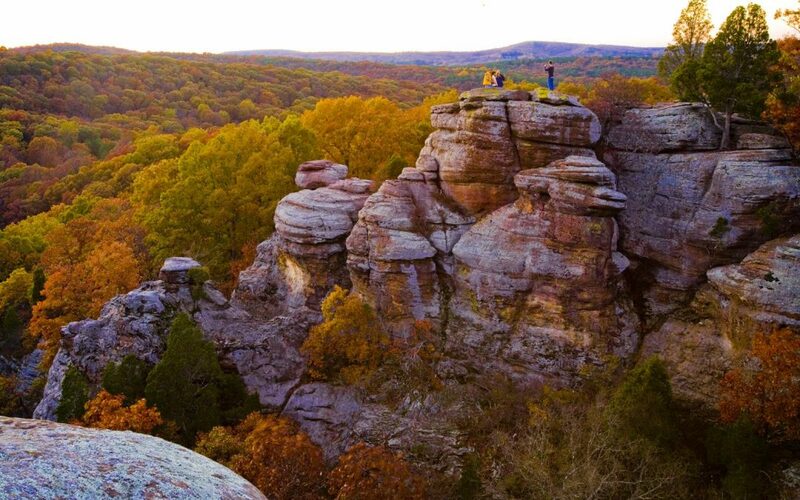 Elephant and Lion peaks are spectacular, too. The true scale of the mountains remains hidden to me, but I suppose it was to be expected. Milford Sound is in the middle of a rainforest and gets annual rainfall of 268 inches. So more likely than not, visitors will see it on a rainy day. And while clear days are glorious, there is a silver lining that comes with the drizzle—waterfalls. Dozens of temporary waterfalls pour down the sides of the cliffs when it rains, creating a wall of water that trickles through the beech trees clinging to the rocks. In drier conditions, two permanent waterfalls—Lady Bowen and Stirling—can be enjoyed. When we see our first waterfall, everyone runs from the comfort of the inner cabin out to the chilly, wet deck to snap pictures, myself included. The cruise ship switches its motor mode and moves right up next to the rocks. We crane our necks to capture the thundering flow of water as it crashes onto the front of the boat, drenching us from head to toe. Totally choice, as the New Zealanders would say. 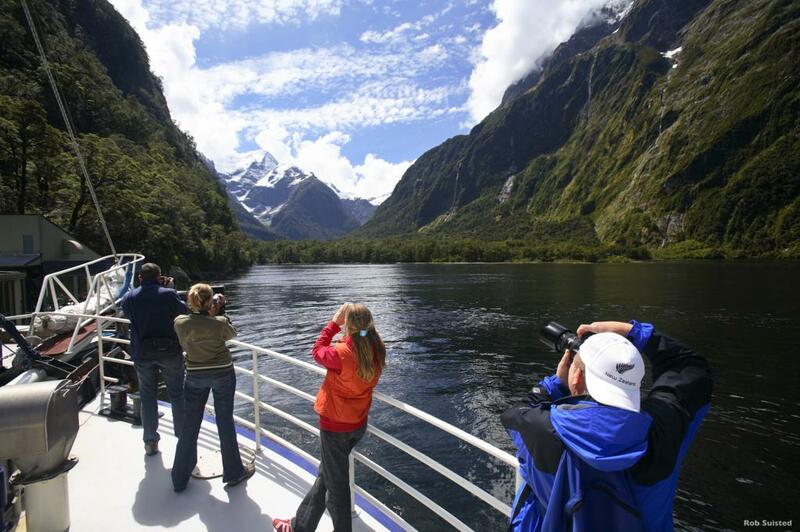 Taking a cruise is one of the best ways to see Milford Sound, and there are dozens of tour operators that offer different kinds of packages. I opted for a nature cruise, a relaxed sailing through the sound led by a knowledgeable nature guide from Real Journeys, one of the many tourism businesses in the area. Shorter scenic cruises are also available and usually last about an hour and a half. Groups can also sign up for overnight cruises around the sound, complete with twin-bed and quad-bed cabins, a three-course dinner and prepared breakfast, and kayaking or small boat activities. Groups of 10 or more can receive a 10% discount on bookings, and multiple package bookings get another 20% off. 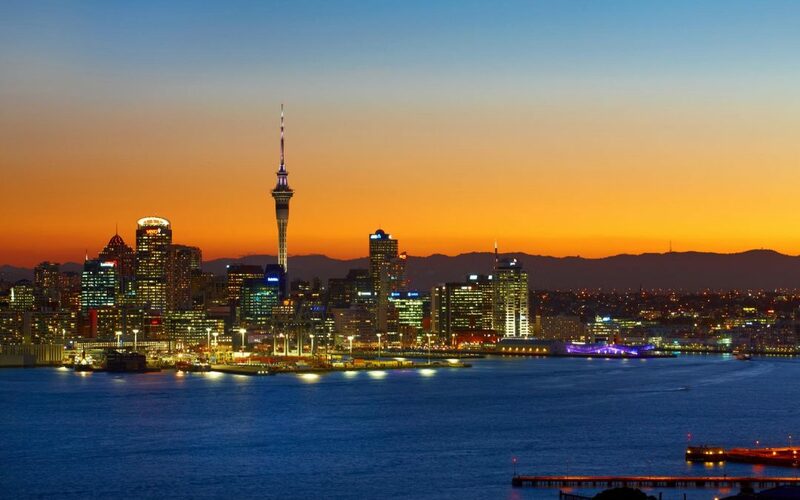 Other tour operators include Southern Discoveries, Jucy Cruize and Mitre Peak Cruises. For those who are not fans of boats, hiking is a perfectly acceptable way to explore Milford Sound and the surrounding areas. The day after our cruise, we participated in a day-long nature walk along a portion of the Milford Track, a 33-mile stretch that is one of New Zealand’s most popular walks. It begins at the head of Lake Te Anau and ends at Milford Sound, taking about five days to complete. Peak season is October to April, when access to the track is highly regulated and only 90 walkers can start the hike each day. Usually, these slots are booked months in advance, so any interested parties must call well ahead of time to reserve hiking spots, as well as rooms at the various huts located along the track. Our group went about nine miles along the track, stopping to learn about the regional flora and get a glimpse of some rare, beautiful birds. While day walks can be done independently, guides offer a lot of interesting information that groups would miss hiking on their own. Real Journeys offers a four- to five-hour walking tour, which includes lunch, a one-hour cruise across Lake Te Anau and coach connections from Queenstown, if necessary ($295 per person for coach and walk from Queenstown; $195 for coach and walk from Te Anau). Relaxing Journeys also offers a one-day guided walk along the Milford Track, with pick up and drop off in Queenstown. As far as accommodations go, there is only one hotel located in Milford Sound, and it books up quickly. 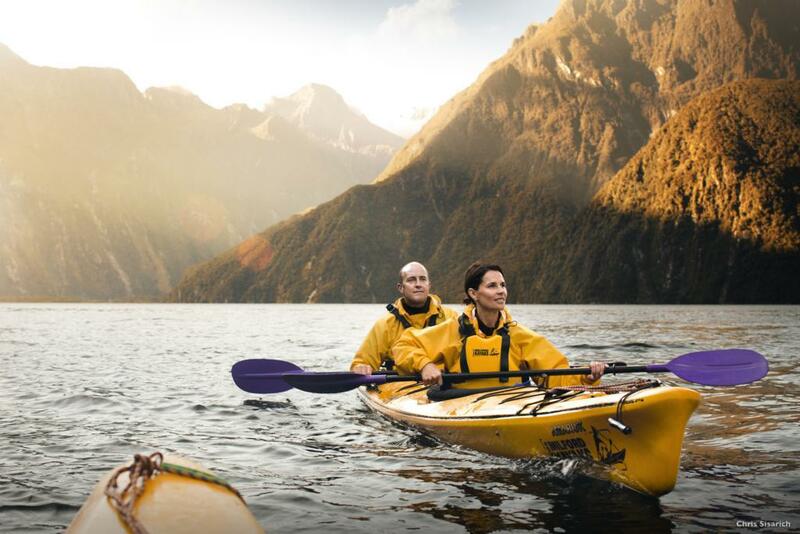 The Milford Sound Lodge offers a variety of accommodation options, including riverside chalets, private twin or double rooms and cabins, dorms, camper van sites and tent sites. We stayed in Te Anau, the closest township to the sound, just two hours away. 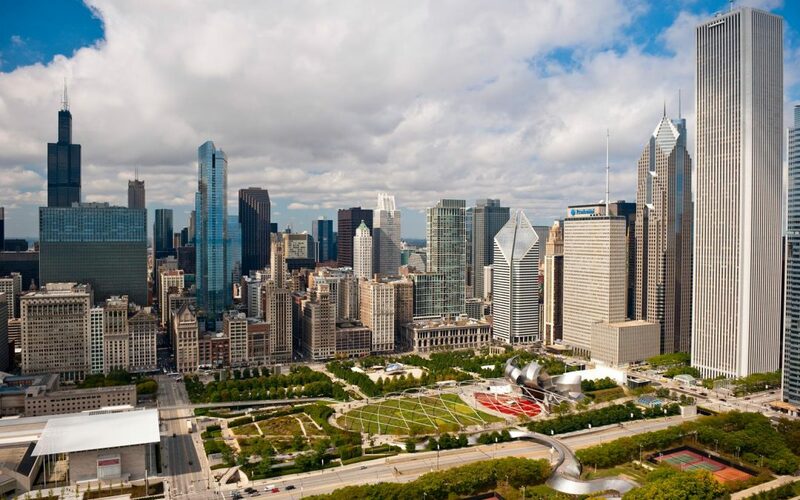 The city has a wide range of accommodations, from luxury hotels to quaint bed and breakfasts to value-priced motels. Distinction Te Anau Hotel and Villas, part of a larger chain in New Zealand, is one of the bigger options, with 112 rooms. The Kingsgate Hotel Te Anau is another great option for tour groups, as it has 94 guest rooms and is located right on the shores of the lake. The Radfords Lakeview Motel—where I stayed—offers 14 spacious apartments with personal outdoor seating areas. Given its size, it’s a better fit for smaller tour groups. There are plenty of smaller motels and rental apartments in Te Anau, but there are some bigger options, such as Fiordland Hotel & Motel, Explorer Motel Apartments and Te Anau Kiwi Park and Motels. Many groups choose to make Queenstown their base, as it is much larger than Te Anau, with a wider variety of shopping and dining options. And it has more extreme sport operators than any other city—or so it seems. Milford Sound is a full-day trek from Queenstown, but luckily there are plenty of daily trips provided. Coaches usually pick groups up from their hotels in the morning and take them to Te Anau and into Fiordland National Park, where they make various photo stops before reaching Milford Sound. Cruize Milford, ECO Tours, Real Journeys and Kiwi Discovery all offer coach packages from Queenstown. No matter where groups stay or how they choose to see Milford Sound, the sheer grandeur and beauty of the region will leave visitors breathless. Tour groups making the long trek over to New Zealand should strongly consider putting Milford Sound on their itinerary. It certainly does not disappoint, regardless of the weather.